One challenging aspect of Alzheimer's disease is predicting who it will affect. While some genetic risk factors have been identified, genes are currently the clear culprit in only about 5% of cases. Therefore, identifying other risk factors is an important part of spurring people on to take preventative measures to avoid the disease. Researchers at Northeast Ohio Medical University believe they have identified one such factor. This line of research investigates the link between the brainstem and bone health. The team found that when degeneration occurs in the area of the brainstem that makes serotonin, bone mineral density also decreases. This finding is significant because early signs of Alzheimer's can include reductions in serotonin levels, affecting mood and sleep. While screening serotonin levels isn't very common among the elderly at this time, evaluating bone mineral density is, as decreases can be a warning sign of osteoporosis. 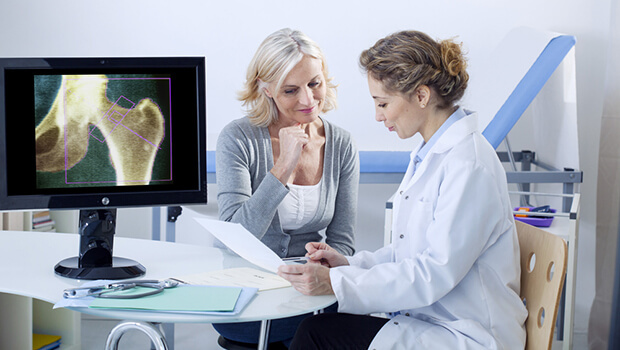 This research indicates that a bone mineral density screening could actually do double duty in providing information about both osteoporosis and Alzheimer's risk. It also gives researchers a new area to investigate for creating therapies for both diseases, now that the serotonin connection has been identified. This research also provides a reminder that all aspects of our health are intertwined. Dealing with osteoporosis and the increased fracture risk it carries can be particularly challenging for a person whose cognitive health is also declining. So don't wait for a low bone mineral density test to tell you that you're at risk of both osteoporosis and Alzheimer's. And if you do have signs of osteoporosis, one remedy that works great for my patients is Ultimate Bone Support, which has a total of nine nutrients that keep your bones strong. For your brain, I like Advanced Memory Formula. And stay tuned for further updates on how serotonin can help protect you as researchers continue to investigate this promising arena.